Theme Decorators in Noida Theme Decorators in Noida. Theming refers to use of an overarching theme which creates a holistic and integrated spatial organization of any venue. It is also called the subject of discussion, designing and composition. The theme can be categorized with experience that person see and feels in the current environment and decor and ambiance which is utilized to make a memory to remember something for the people through the portrayal of the theme that whether it is generic and specific. The concepts creation is attributed towards the specific moment be it a wedding, retro and many more titles. Basically, themes are titles for environments to any event for encoding it with a dress, food, lights etc. The most common purpose of theming is to make every event memorable Christmas, Easter, Valentine’s Day etc. are all celebrated with special themes. The theme decorators are people who serve and designed to make every event most special day with extravaganza from personalized invites to entertainment options that add a zing to every different event. The theme planners or Theme Decorators in Noida offer you with memories of a lifetime. The services offered are Catering, Flower Decoration, and Buffet, Ballroom, Hotel Accommodation, Security and many other services to everyone. Our mission is strong with an aim to build each and every event a memory for a long time so that people can never forget its taste and always get enthusiasts after remembering the moment. Our theme decorators are creative, experienced and masters in each and every profile of event management as well as theme decoration. 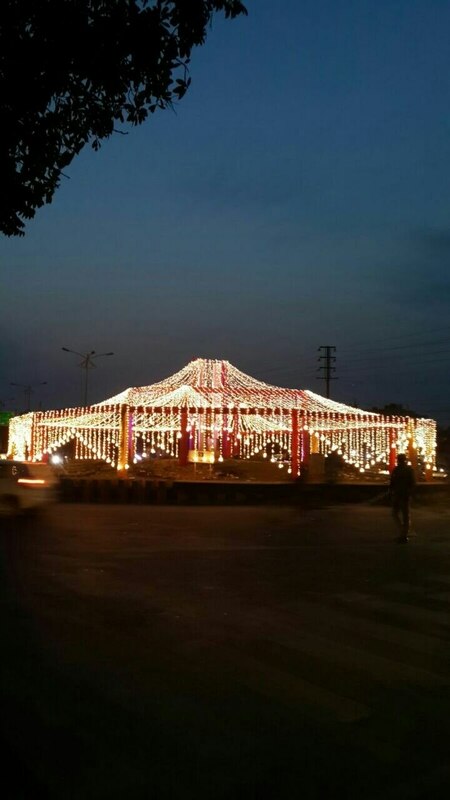 We Provides BEST THEME DECORATORS IN NOIDA.